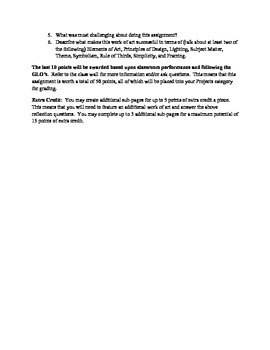 The handout lists directions for the creation of a student's online art portfolio. 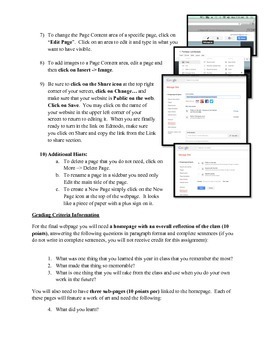 My students had access to their own work through Google Drive and/or Edmodo and downloaded and/or linked their work to their sites. I instructed students who were creating websites for the very first time to follow the directions carefully, but others that were adventurous were allowed to change the template used if they were self-directed enough to find solutions to layout problems. 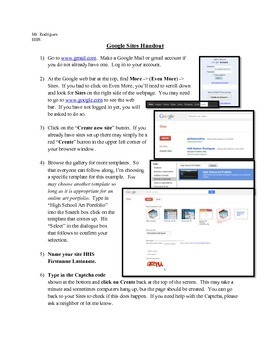 Every student that does this needs to have a Gmail or Google account name and password. They need to remember/write down this information for continued use.